A new service has been launched to offer a little extra peace of mind to the relatives of older and vulnerable people in County Durham. 3rings is a mobile phone and PC app which lets people know when their relative is using an electrical appliance such as a kettle, television or washing machine. The idea is to reassure people that their relative is up and well. The app is being offered by Durham County Council through its Care Connect service. Linda Ogilvie, Care Connect manager, said: “The app is a really simple, affordable way of offering people that little extra reassurance if their relative is older or vulnerable. “It will send live updates to your phone or PC to let you know when your relative is settling down to watch the TV, putting the kettle on for a cuppa or heating something in the mircowave. In order to use the service, people need to purchase a plug, which is inserted between an appliance and the socket. The plug then connects to the app and sends information to family members or friends. The plug is purchased with a one or two-year subscription and no internet connection is needed as the plug contains the same type of sim card as used in a mobile phone. And as many as 10 people at a time can receive alerts and the system is quick and easy to set up. 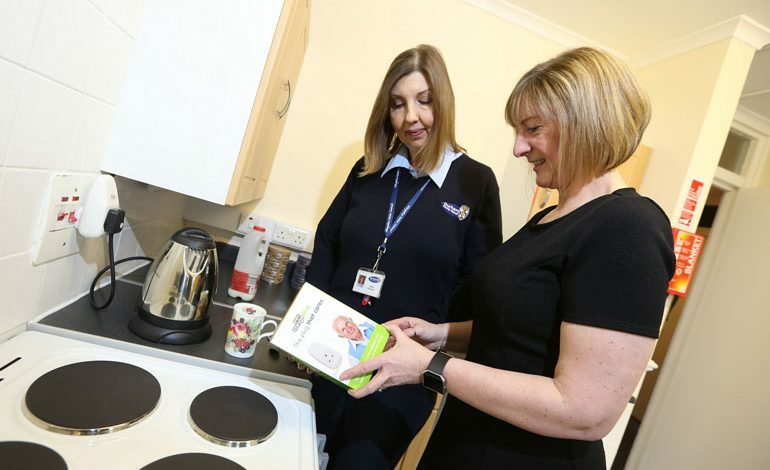 Care Connect offers a range of products designed to help people remain independent in their own home and also offer reassurance to their friends and family. The range includes devices which raise an alarm when a fall occurs, remind people to take their medication or create an alert when a telephone rings.